I was interested to read a letter taking a sceptical stance not just towards IAPT services but also towards the ethos of individual interventions (‘What would an effective mental health service look like?’, May 2018). I have worked in IAPT services for seven years (as a psychological wellbeing practitioner and, lately, as a cognitive behavioural psychotherapist), and I feel the letter writers may have misstated the situation. Firstly, they assert that only about 15 per cent of those referred to the service make a recovery. I’m interested to know how they came by those numbers – because in the service I work for, of those clients who engage in treatment (a different and arguably more relevant statistic than statistics based on referral numbers) we consistently see recovery rates in excess of the national target of 50 per cent. I am aware I have been fortunate enough to work for one of the best IAPT services in the country – not all services see those numbers – but I think that we would be better served by examining any systematic differences between those sites producing high recovery rates and those who do not than we are by declaring the IAPT model of individual intervention to be mis-aimed. I personally would be fascinated to see the results of such a research project – is it based on demographic factors such as socio-economic status, racial and ethnic make-up of the local areas, education levels? Is it the fact that my service continues to offer up to 20 sessions of face-to-face individual therapy when clinically merited while other services have found themselves reduced by the pressures of understaffing, underfunding, and crushing treatment targets to offering an upper limit of six sessions? I think there’s a definite place for more research there. 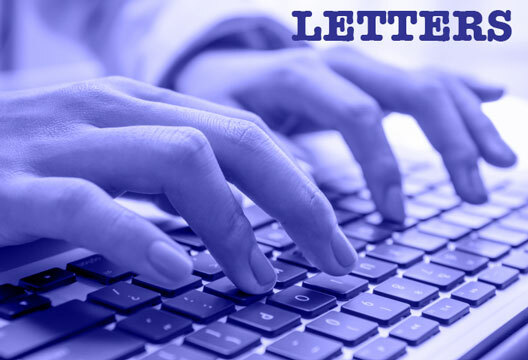 Moving away from IAPT specifically, I think there is real merit in the letter writers’ hope for a model of care focused on the toxic environments in which find ourselves, and interventions on a community level. Certainly, I have noticed that over recent years, the complexity of presenting problems at my IAPT service, and the level of distress, has risen in recent years, with many clients noting changes to their benefits, the stress of undergoing repeated appeals, or even Brexit, to be stressors that have led to deteriorating anxiety or depression. I can only imagine that a community with more stability, secure housing and regular income would find far fewer people in need of mental health services, and I applaud any efforts to make that a reality. That said, I do have a major reservation – that the letter writers’ see this as a partnership with the charitable sector. Of recent years I have seen a depressing trend of charitable services picking up more and more of the NHS’s slack, and while I am relieved to know they’re there, I don’t want to be complacent about the fact that the provision of health and social care in this country has led us to the point where the NHS cannot cope without the support of the charitable and voluntary sector. So yes – build community-focused and holistic mental health services, by all means! But don’t throw the IAPT baby out with the bathwater until there’s more research on what really works – and don’t stop pushing for the NHS to have the funding and the flexibility to be able to put in place the comprehensive mental health programmes we need.